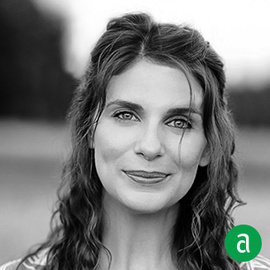 Vivian Howard, Chef and Student at Chef & The Farmer in Kinston, NC, shares her career timeline and advice for up-and-coming professionals. Be open to lessons in the most unlikely of places. Not all cooking techniques are learned in the professional kitchen, and not all inspiration comes from fancy restaurants. Mike Sheerin at WD-50 told me two things that stuck with me: Work smarter not harder….and always have the right tools for the job. Taste as you go. Taste all the time. When we look for team members, we have our eye out for folks who want to try something new. We live and work in rural Eastern Carolina, and the rhythm is different here. We want folks who are interested in applying traditional foodways towards relevant, modern technique with an emphasis on sustainable agriculture. I guess you’d call it “niche cooking."